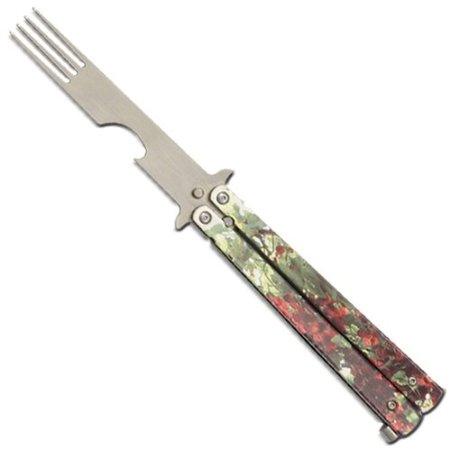 A butterfly knife may make a great presentation when it gets whipped out, but you can’t eat anything with it. (Plus, a fast-moving blade lends itself a little too well to nicks and cuts.) But finally, there is a way to combine eating with snazzy utensil moves. 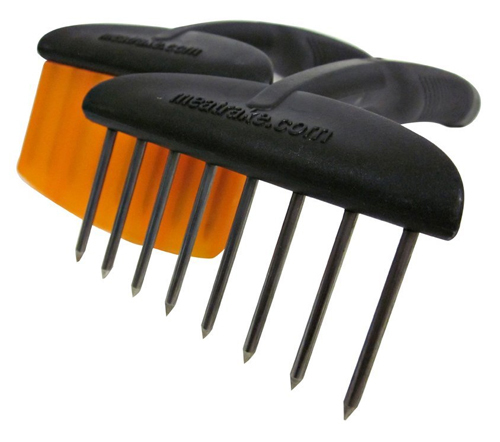 The Azan Training Practice Harmless Butterfly Fork offers the showiness of a deadly weapon without all the deadly or weapon to go with it. To make things even better, the business end of the utensil includes a bottle opener. Plus, imagine how fast the line will open up next time at the buffet! 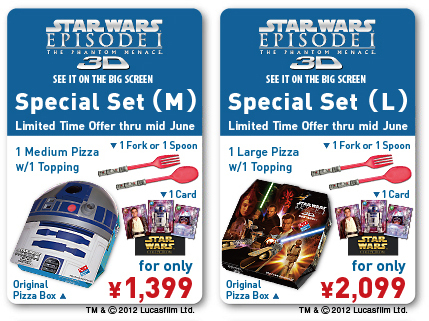 I would order Domino’s Japan just to get it delivered in an R2-D2 box. Throw in some lightsaber utensils and I’d order it again to make sure I could get both the fork and the spoon (a spoon??). But eat Domino’s and watch Star Wars Episode One The Phantom Menace? Well, let’s not get ahead of ourselves here. One can only handle so much! Move over pulled pork and shredded chicken, there’s a new name in town. And that name is Meatrake MR2 BBQ Tool . Might one get the same results from using two forks? Maybe. But then that wouldn’t be Meatrake. Meatraked pork. Mmmm. Meatraked chicken. Mmmm. Meatrake. Meat. Rake. Two words that finally go together. Like vinegary hot sauce and pulled pork. I mean Meatraked pork. Mmm. Meatrake. Usually one tries to not mix dirty utensils with clean ones. Ah, but rules are meant to be broken. Hey, those bent forks and ugly spoons need a place to go, don’t they? At least the Sterling Home Utensil Holder thinks so. 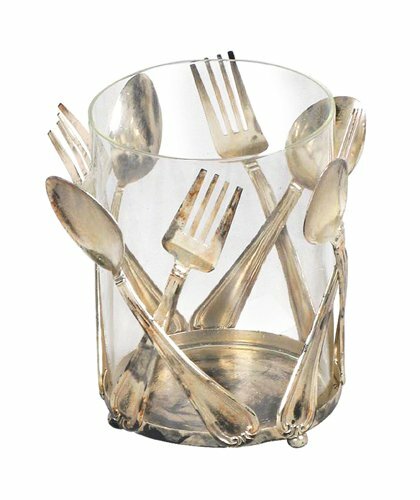 The little utensil vase features fused flatware used in a decorative manner, but if the thought of tarnished utensils mingling with sparkling silver gets you down, the thing could always be used as a candle holder. As for what gets melted down first–the wax or the holder–well, that’s up to you. A sifter is an important kitchen tool to have hanging around. However, they usually don’t do too well for the smaller jobs; they are just too bulky. Even fine mesh strainers are too big when it comes to dong fine detail. That’s where The Spifter comes in. 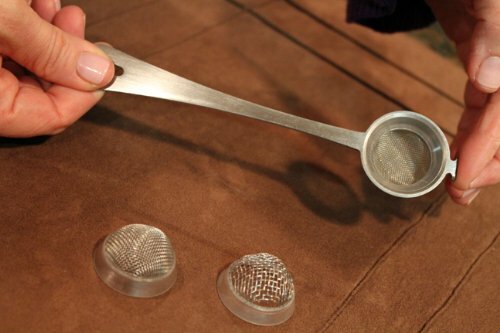 Perfectly sized for sifting sugar, herbs and spices, the little kitchen gadget even comes with three interchangeable screens. Pretty neat idea, actually. Good job, Spifter people! Kitchen countertops are quite useful; they manage to hold up all sorts of things: toasters, plates, utensils, cats. Which is exactly the problem: they are busy little surfaces and as such are not the most cleanliest of places. Yet, while cooking we often end up using the countertop as a place to set down utensils. Oh sure, spoon rests abound, but what about the big stuff? 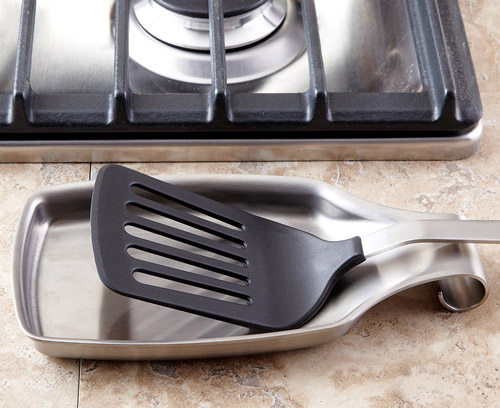 Since you can’t flip a pancake with a spoon, the Spatula Spoon Rest is here to help.